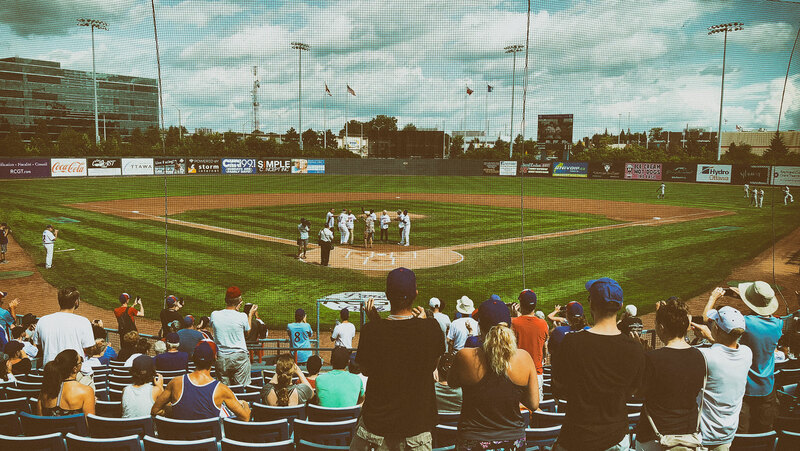 When I got word that the Ottawa Champions would be having an “Expos Day” over the Labour Day weekend, I decided that it would be a good idea to spend the weekend in our Nation’s Capital. What I didn’t realise at the time is that not only would they be honouring Nos Amours, but give some of them playing time. Bill “Spaceman” Lee was scheduled to pitch this game, making himself the oldest person to throw in a professional baseball game. Alas, he hurt himself a few days before and only felt comfortable taking a few at-bats. The Champions decided to make him their DH. While he did make contact with the ball a couple of times, he wasn’t going to get a hit, as this stunt was not about observing his hitting prowess. To open the game, a series of past Expos that I remember very well — Bill Lee, Dennis “Oil Can” Boyd, Orlando Cabrera, Dave Cash, Claude Raymond. and Rondell White — were honoured and seeing them was a treat. I never thought I would see “Oil Can” Boyd in person ever again.